This client approached me after having seen photos of my Robert Adam mural and wanted me to do something similar for the entryway of his San Francisco home. 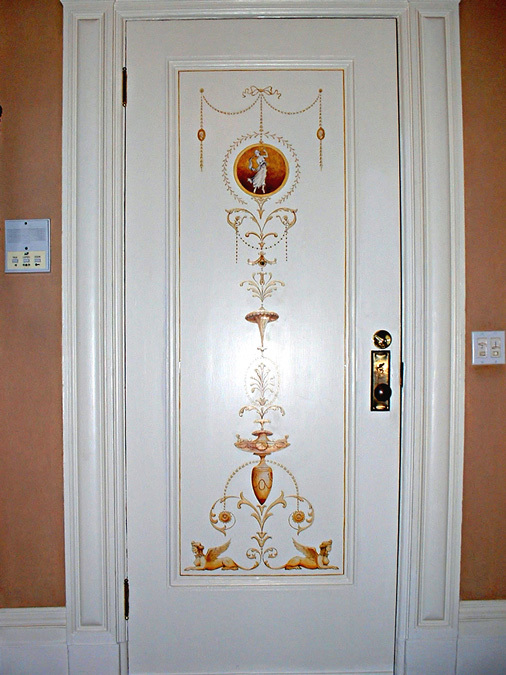 I came up with the original design using many of the features found in Robert Adam’s work, such as sphinxes, urns, cameos, and the stylized honeysuckle motif. After completing the back of the front door, we decided to apply some related ornament to the pocket doors that lined the hallway.